Few coaches have had the rise that Anthony Lynn has had. Lynn started the season as the running backs coach for the Buffalo Bills, he took over as the offensive coordinator and the playcaller after Week 2, and then he became the interim coach after Rex Ryan was fired before Week 17. And now, he will be the next head coach of the San Diego Los Angeles Chargers. As I just alluded to, the Chargers are going through a pretty big transition right now so they are at a critical time in the history of their franchise. Is Lynn the right guy to lead them forward? 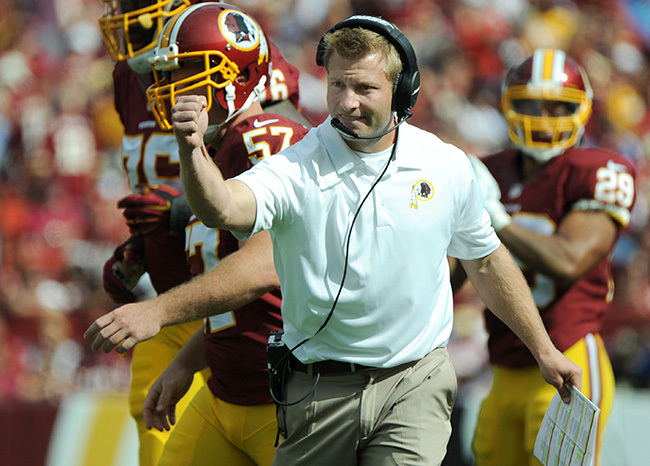 There is a new youngest head coach in NFL history and his name is Sean McVay. The Los Angeles Rams announced on Thursday that the 30-year-old will become the 28th head coach in franchise history (including interim coaches) after serving three years as the offensive coordinator of Washington. Will McVay be able to lead the Rams to success following a messy return to Los Angeles this past season? Here are my thoughts. It has been 20 years since Marv Levy retired as head coach of the Buffalo Bills and now, the franchise has hired their tenth coach (including interim coaches) since then. Sean McDermott, the defensive coordinator of the Carolina Panthers, will be that man as the team announced on Wednesday. Considering that the team has failed to make the playoffs every year since 1999, McDermott would appear to have a tough job in front of him but there are some pieces to work with here. Fanatic Radio 1/12/17: On the eve of NFL playoffs, Mike and Ben talk the end of college football, did Clemson's victory prove something larger in NCAA, where does Alabama go from here? The NBA is thinking about speeding up the end of games, but will they be men of their words or like 90% of corporate America? Carl Edwards retires, new NFL head coaches and more. The Millennial's Show is back, just before the Inauguration. The Denver Broncos showed some interest in Vance Joseph for not one but two gigs two years ago, interviewing him for the head coaching gig that ultimately went to Gary Kubiak and then wanting to hire him as their defensive coordinator. Now, they have finally landed Joseph as he will become the 16th head coach in franchise history. Can the Chargers succeed in Los Angeles? It wasn't that long ago that there were no NFL franchises in the Southland but now after today's news, there will soon be two. One year after getting approved to move to Los Angeles and 56 years after leaving the city following their inaugural season, the San Diego Chargers are set to relocate and to become the Los Angeles Chargers for this upcoming season. To drive home the point, they even cranked out a terrible logo to note the occasion. This move will solve their stadium issues that have dogged the franchises for years as they will share the Rams' new stadium currently being constructed, but will they be able to cultivate a fanbase? I think it is safe to say that us NASCAR fans were not expecting to read a headline like this yesterday but as we will found earlier today, Carl Edwards has announced his retirement from NASCAR. Even a day after finding out the news, and even after hearing out his rationale, it still is surprising to me and here is why. The 2017 NFL Playoffs roll on after a frankly mediocre slate of games this past weekend. Now, we get those teams that had bye weeks in action as they host the winners from Wild Card weekend. Who will advance to their respective conference championship games? Here are my Divisional Playoffs predictions. 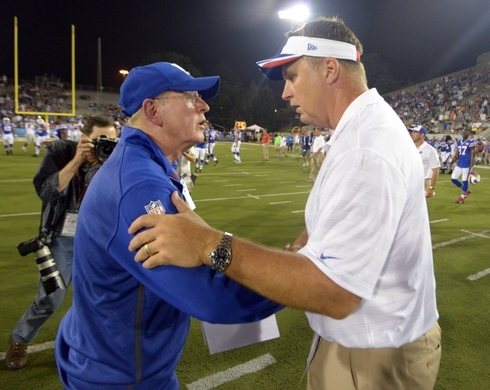 Can Doug Marrone & Tom Coughlin bring the Jaguars back to respectability? There is a new team running the show in Jacksonville, for the most part, as they given the head coaching gig to interim coach Doug Marrone while also bringing back former head coach Tom Coughlin as the Executive Vice President of Football Operations. Marrone previously served as the head coach of the Buffalo Bills before his controversial departure after the 2014 season while Coughlin followed up his successful first tenure with the Jaguars and then a very successful run with the New York Giants where he won a pair of Super Bowls. The Jaguars have only made the playoffs twice this century with the last appearance coming in 2007, can these two be the ones to bring quality football back to the River City?